If you haven’t seen Rogue One, you should go see it right now. It’s a great addition to the Star Wars canon and does a great job of telling a non-Jedi story while still keeping the same magic of the galaxy, far, far away. But even for it being a great film, it did create some controversy due to the inclusion of some characters. Note: There are spoilers ahead. 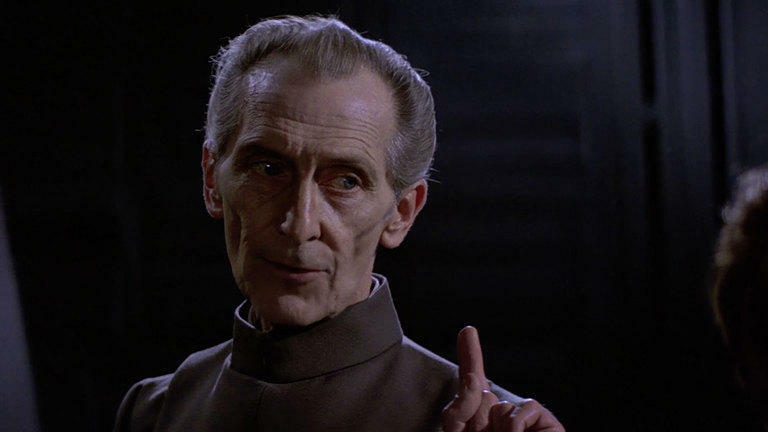 The inclusion of Grand Moff Tarkin and Princess Leia raised eyebrows given Peter Cushing passed away over 20 years ago and Carrie Fisher, who sadly passed away a few days ago, did not look the same as she did when A New Hope was shot. It turns out their inclusions were solely based on the story. The creative directors of Rogue One revealed to The New York Times why they felt like the inclusion of these two characters was necessary to the plot of not only this film, but also A New Hope. Tarkin is in charge of the Death Star and Leia is the face of the rebellion, two of the most important characters and themes in Rogue One. “If [Tarkin] is not in the movie, we’re going to have to explain why he’s not in the movie. [The Death Star] is kind of his thing,” reveals producer Kiri Hart. The same goes for Princess Leia, who as the face of the rebellion, kickstarts the plot of A New Hope by delivering the plans of the Death Star to Obi-Wan Kenobi. The moment she receives the plans is one of the most important points in the Star Wars universe. The process of recreating the characters was quite intensive. Stand-in actors were used on set while their faces were altered in post-production to resemble Peter Cushing and Carrie Fisher. Industrial Light & Magic provided the visual effects for the film. The Rogue One crew got permission from Cushing’s estate and Fisher herself to use their likeness in the movie, but it still raises questions about this practice. The producers were acutely aware of this issue and tried to find an alternative, but there was no easy way of omitting these characters just for the sake of not including them. “We’re not planning on doing this digital re-creation extensively from now on. It just made sense for this particular movie,” revealed producer John Knoll. It’s a difficult situation the producers were faced with, but they did the most respectful and admirable service to these characters and actors they could have. Is this the end of this topic? Given how prevalent CGI is becoming and the frequency of sequels and prequels getting made, not by a long shot.